Last week I managed to sneak myself into a closed beta for a game that a lot of people probably have never heard of before. Despite the fact it is being made and published by perhaps one of the biggest game developers and publishers in the world, this game has kept a relatively low profile leading up to beta. 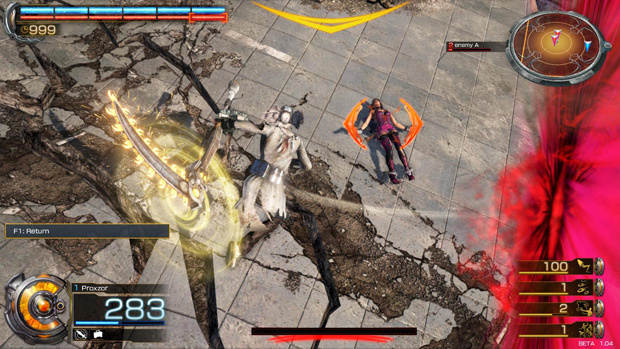 Bandai Namco Games is currently working on Rise of Incarnates, an upcoming multiplayer free-to-play fighter that takes the free PC fighting genre to the next level with multiple game modes that you can play to get yourself ranked. Almost everyone was able to play in this beta, but there were only a small number of people that actually knew it was occurring. I’m not really a huge fighting game fan, but I have played my fair share of Street Fighter and Tekken. While the genre often lacks the depth of most titles, its style one of the best for enjoying a lazy afternoon with your buddies watching each other fail horrendously at comboing each other. Luckily this project isn’t a novice experiment as the development team features members from the Tekken franchise as well as Soul and Mobile Suit Gundam: Extreme Vs. With Bandai Namco pooling talent from three of their prominent fighting game franchises, I was sure a solid game lay ahead. Unfortunately my expectations may have been a bit too high for this stage of the beta. Right now the game is made specifically for Windows and by doing they are going after a market where the majority utilizes keyboard and mouse. 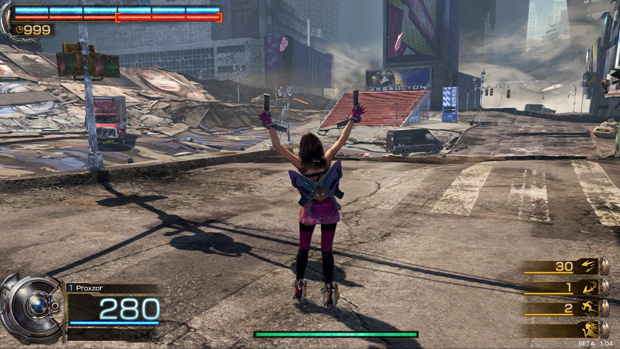 When I played Rise of Incarnates for the first time, I did this on said controls. And it became quite obvious to me that playing on your keyboard and mouse only sets you at a disadvantage. Instead of fully utilizing the use of the mouse, almost all the controls were on your keyboard, and it became exceptionally hard to control your character, make him run forward and attack in a direction at the same time. The archaic controls threw me back to the early 1990s PC fighting games to be honest. It was extremely hard to have fun no matter how solid the graphics and visuals were. Luckily my pad has just about every sort of controller in existence hidden in one box or another, and I managed to salvage the experience with an Xbox controller. Most others in the beta gave up after a few rounds though. The experience was worlds better with a controller in hand, but the learning curve can be quite intimidating for a title only featuring a small handful of characters. Part of this learning curve is due to its three dimensional premise. There’s quite a bit to learn about playing around with the environment and setting up traps and combos ideal for your character’s tool kit in just the right location. This can feel a bit awkward as your perspective of the world is based on a targeting system of your opponent. 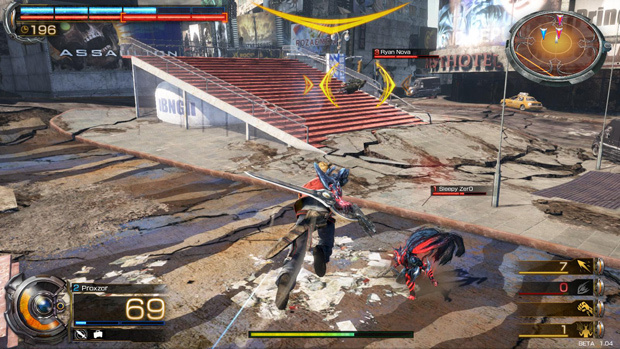 That wouldn’t be so bad if this was a 2.5D title or even if you only had a single enemy to worry about, but Rise of Incarnates up the ante with 2v2 battles. Between the expansive landscape of the arena and dazzling visuals, it’s all too easy to lose sight of one of your targets while focusing on the chase of another. In this closed beta I was able to play only one game mode and it was the solo ranked match option. Despite it saying solo, you were always matched with someone else on your team against two enemies. I have to say it seems a bit out of character of a fighting game to include the randomness of a random into the factor of your ranking, as a fight can be completely lost based on the skill of your ally. As was often the case for my unfortunate teammates as I was just bad. Not extremely bad as most people in the beta were flopping around like fish out of water, but quite a few opponents managed to take me on a tour of the four corners of the arena against my will. The true fighting genre fans can shine bright in this game. In this closed beta we were able to try out 5 different characters. Each one of these characters carried a distinctive fighting style and beautiful art and spell animations. No matter who you decide to go with though, you can be assured of having access to both melee and ranged attacks, though the ammunition and reliability of some attacks may be greater or lesser depending on the character. Obviously the special attacks and combo chains differ a bit as well. While the diversity you can achieve with only 5 characters is quite limited, the interaction and counterplay between those five was plenty to keep combat intense and interesting. Despite all the battles being set up as four person team battles, the majority of my experience with the game still felt like duels. 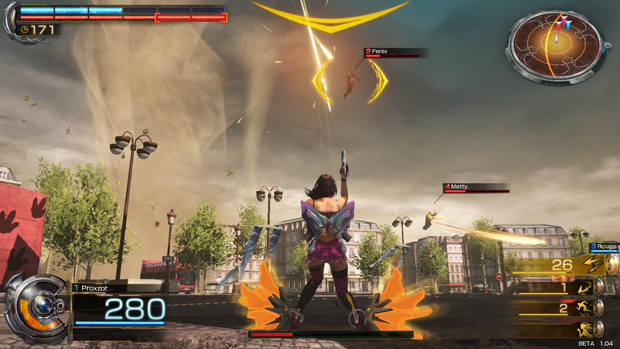 However as soon as someone’s lifebar depletes and they enter the respawn mode, the free players tended to immediately dive after the remaining opponent to score some cheap surprise attack damage. This tended to create a snowball effect as the one player would be pummeled within an inch of death by the time their teammate respawned, resulting in a long series of 2v1 battles. Typically the only way to break this chain was intimidating your foes with your transformation skill. Each character has some form of a transformation that gives you enough power for a good 10 seconds or so to totally annihilate an inexperienced opponent. It’s a great way to even the odds back to a duel situation by punishing over aggressive foes. In addition there are also power attacks for your melee and ranged attacks on every character. Just like any 2D fighter, these attacks tend to be slow, drawn out, and overly gaudy, meaning they are a lot more useful for sneak attacking an opponent that isn’t targeting you than actually utilizing to initiate a combo in a duel. 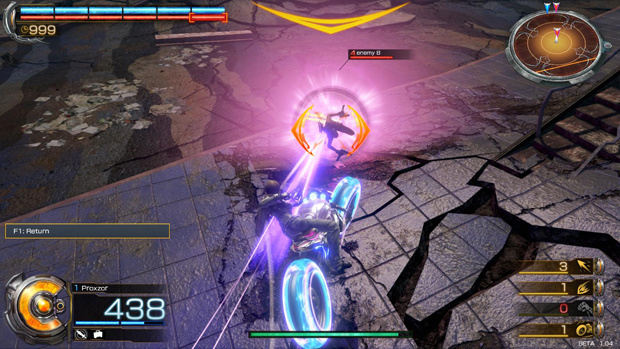 Whether your style of combat involves summoning a wave of zombies, speeding around on a Tron bike, pulling out a cannon, swinging around a sword that would make Final Fantasy jealous, or sucking the life out of your foes, Rise of Incarnates will have something to keep you entertained for some time. We can only imagine the roster and overtop abilities will grow much further as the game progresses towards launch. If I ever had the delusion that I was skilled at fighting games, Rise of Incarnates beat that notion out of my skull. Alas no one is good at everything so I accepted my inferiority to my foes and took a beating with a smile on my face throughout the weekend. Despite the steep and bumpy learning curve, Rise of Incarnates feels quite satisfying as you slowly but surely learn the combos you need to fully utilize each character to the fullest. After a dozen matches I learned the importance of the blocking control and then the tactics and intensity of one on one duels became quite apparent. Once you get a grasp on the basic controls, the vision Bandai Namco is trying to achieve here becomes clear. If Rise of Incarnates puts some serious focus into improving their controls, and opens up the community with functional keyboard and mouse controls, I could see this game being a huge success at full launch. 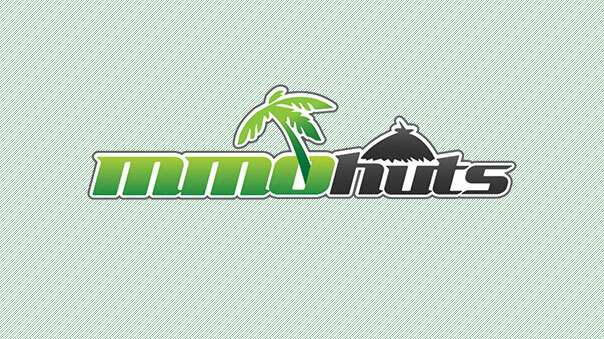 If you are a fan of fighting games this game is definitely one to keep an eye on, just don’t judge it too harshly as it’s clear this beta test is a legitimate work in progress and not just a hype builder. KoramGame has released a new highlight for the Lunar Tribe in Spirit Tales.